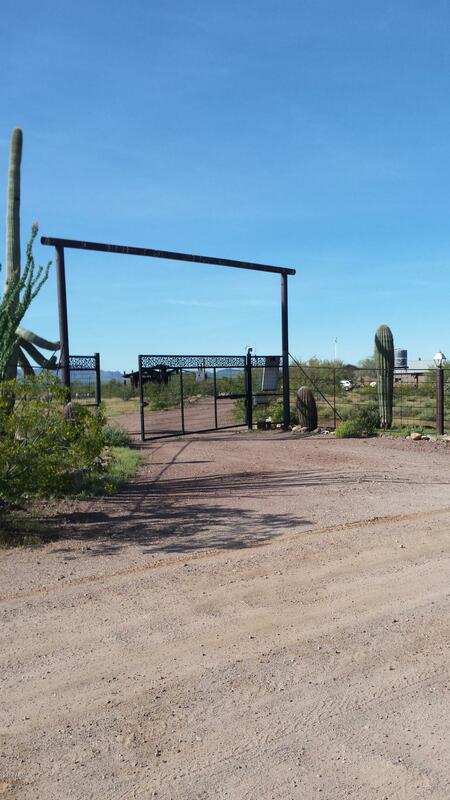 SOLAR ELECTRIC 10 acre ranch property 15 miles S of Wickenburg off the grid on 10 fenced acres, approx. 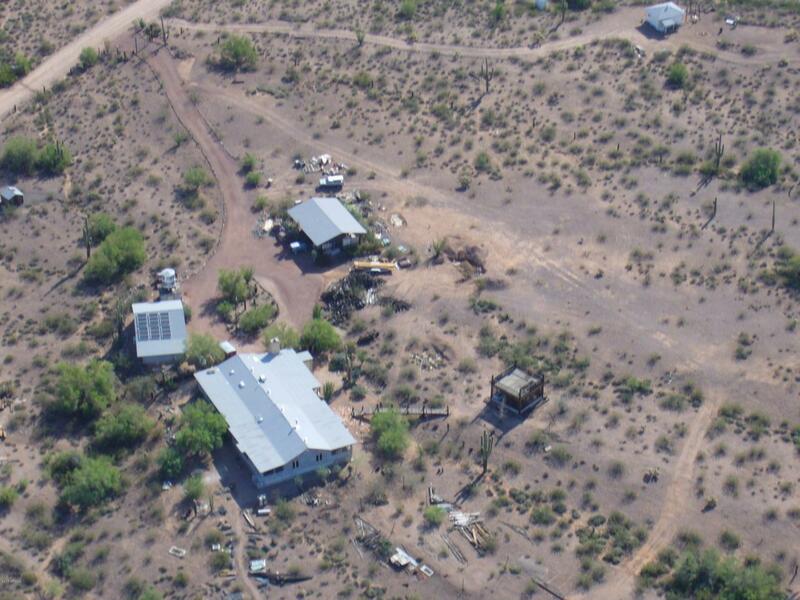 4,000' home with 3KW Solar Battery System (18-175 Watt panels), (Solar owned) 24 batteries. 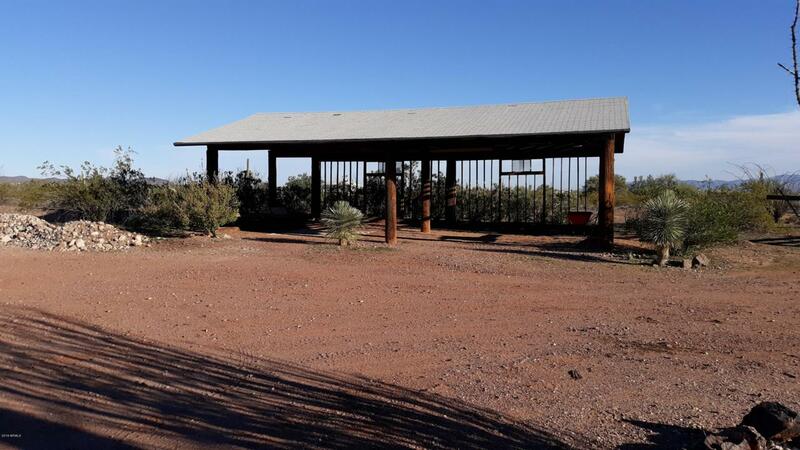 H2O electrically pumped from 600' private well to 800 gallon H2O tank, evaporative cooler, fans in every room, Propane tank owned. Fireplace in MB, MB w/dressing room & lots of closets. Sky lights in bathrooms & kitchen. Large rec/media/family room w/ kitchen and 3rd bathroom. 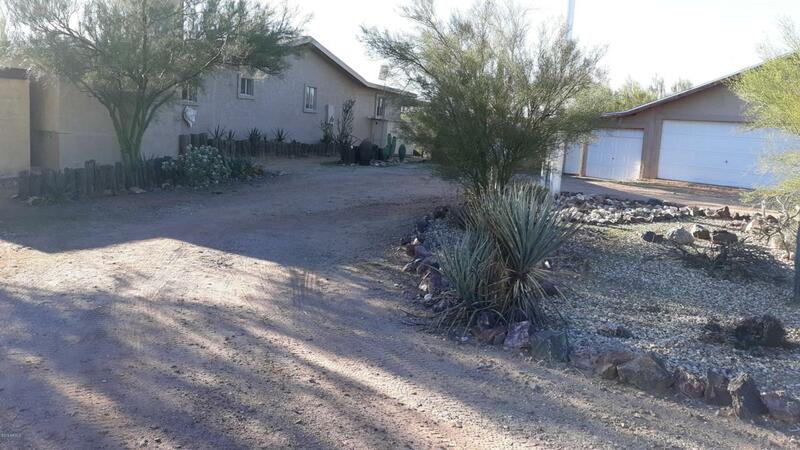 3 car garage w/ new cement floors w/workshop, pole barn, gazebo, well shed. Bomb Shelter. Updated well pump & painting, new fascia board & roof on home & garage 2007. Not in flood plain. Borders BLM land on West side. Owner may carry. $5,000 to Buyer for floor covering, etc.